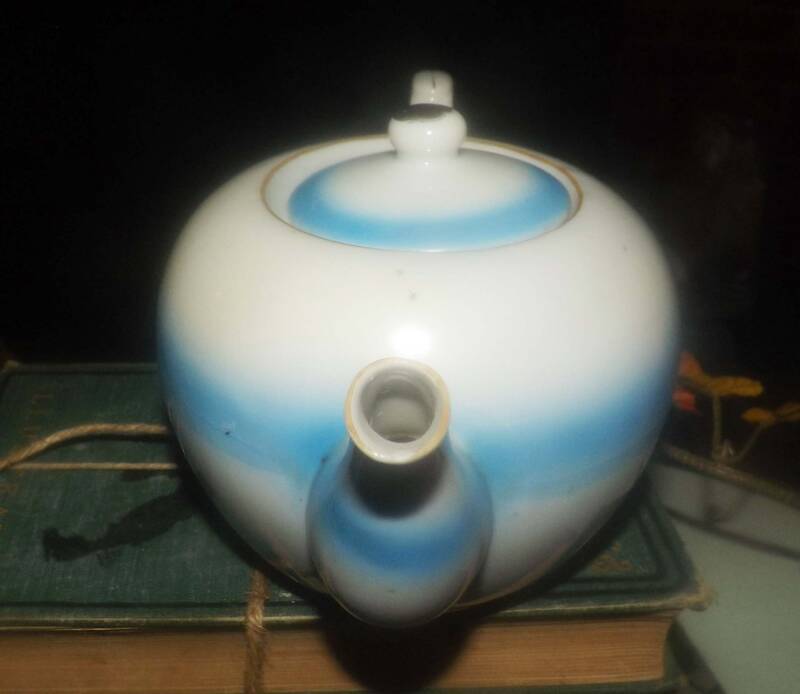 Quite vintage (1930s) Nippon hand-painted teapot with lid. Gold edge, accents. Oriental landscape. 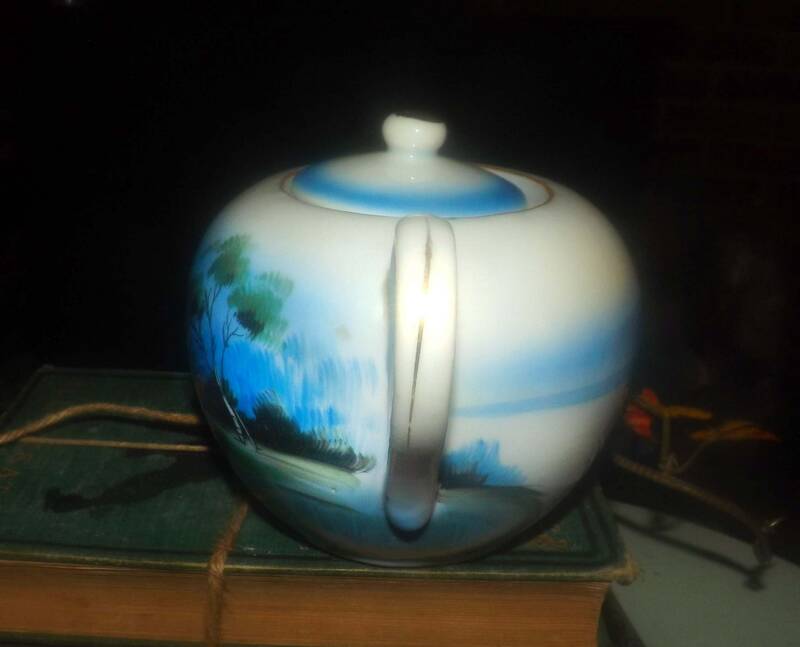 Quite vintage (1930s) hand-painted Nippon teapot with lid. Oriental landscape, gold edge and accents. In VERY GOOD! 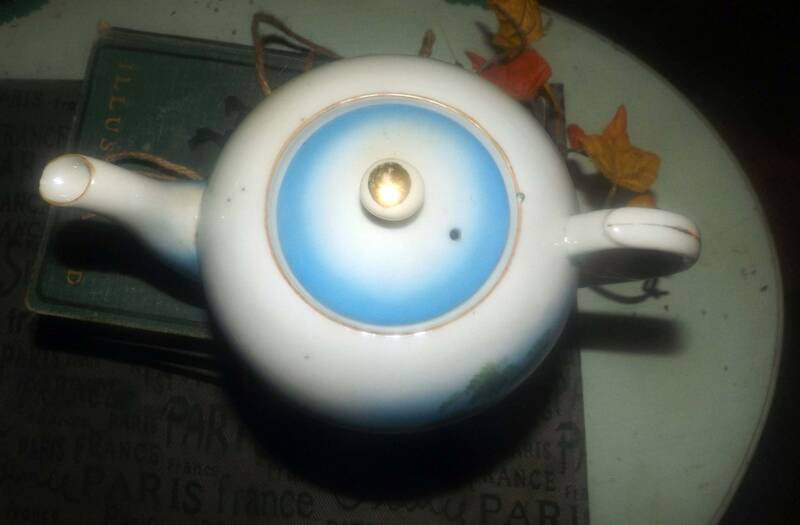 vintage condition. 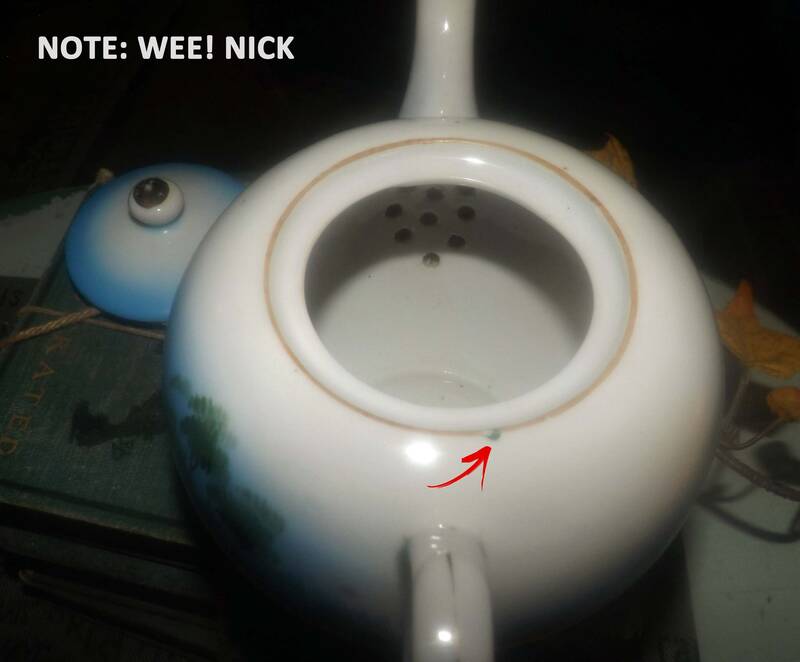 There is a minuscule nick to the top of the pot and another minuscule nick to the tip of the spout (please review each of the posted photos) but otherwise, there are NO! other chips, nicks, or fleabites, NO! cracks, VERY MINIMAL! crazing and LITTLE TO NO! loss to the gold edge or accents. 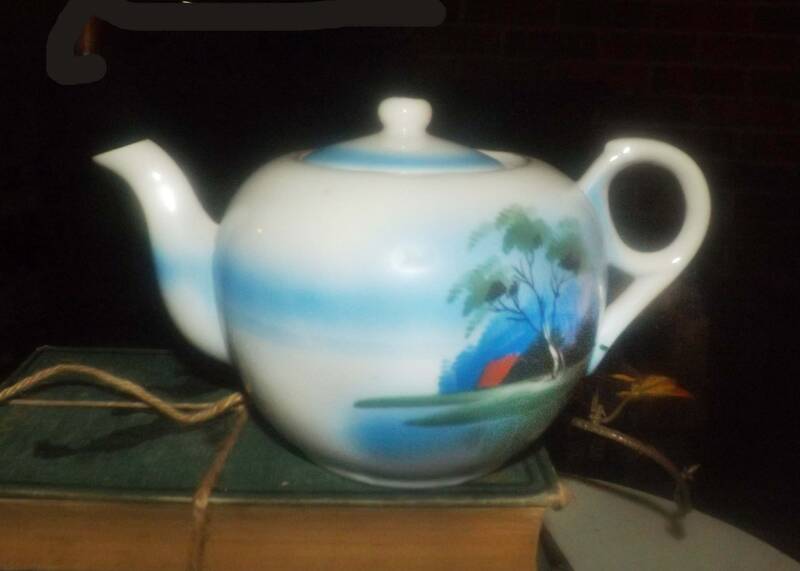 The hand-painted landscape is bright and vivid with NO! 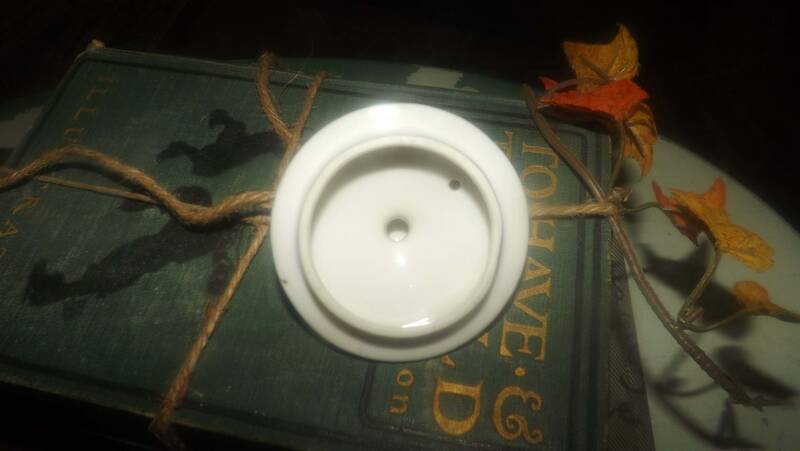 fading apparent and the inside bowl is quite clean with a few LIGHT! 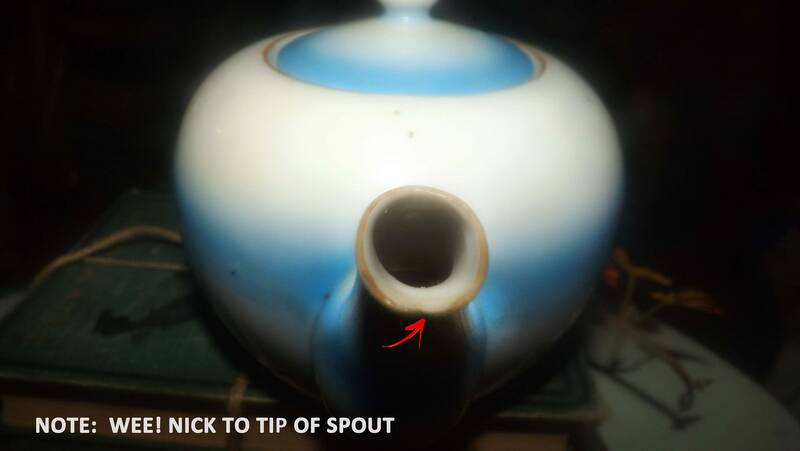 tannin marks about the base and internal strainer (again, please review the posted photos). 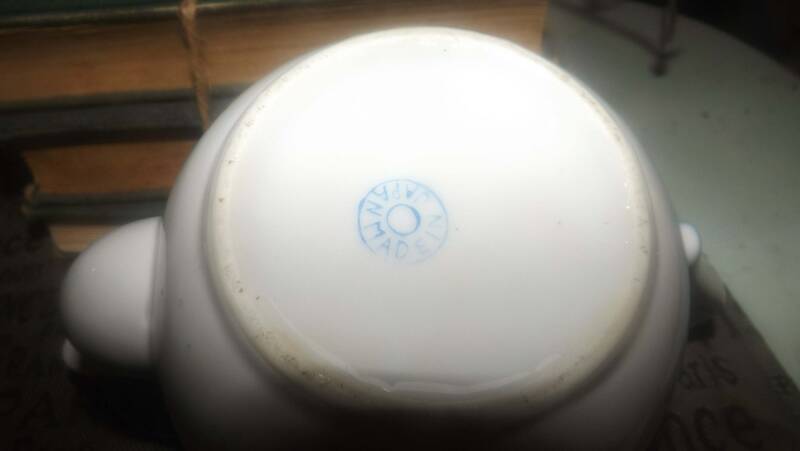 Unknown maker's mark indicates Made in Japan in a blue circle. 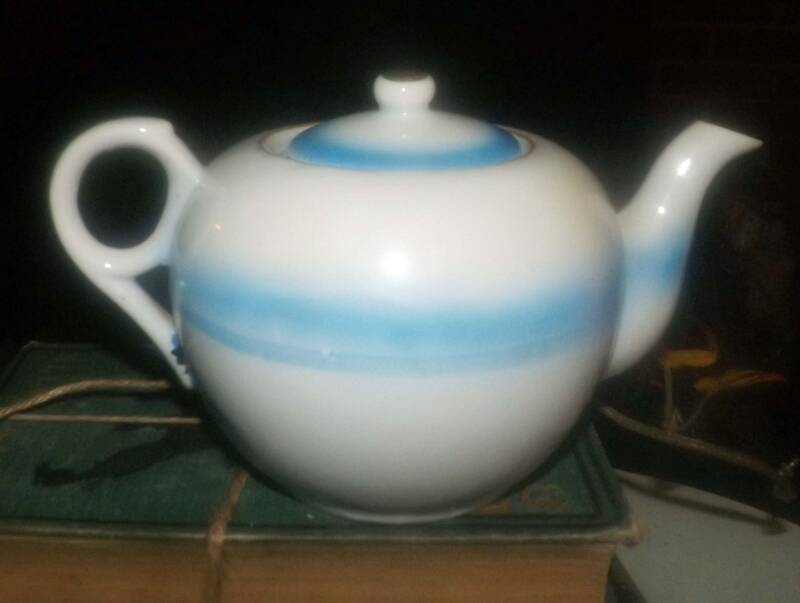 Approximate measurements: stands 5-1/2" (base to top of lid pull) x 8" across (handle to spout) | capacity estimated at 3-4 cups of tea.